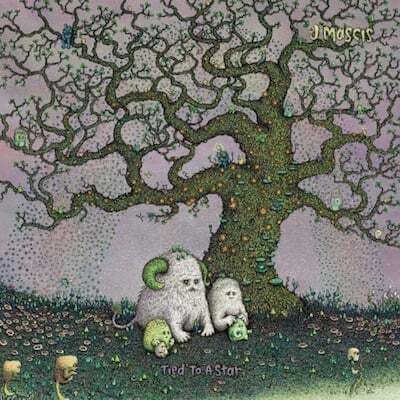 ‘Tied To A Star’, the second solo album from Dinosaur Jr frontman J Mascis (his first being 2011’s Several Shades of Why), delivers more gentle slacker-folk; the aural equivalent of slipping on a comfy old jumper. There is a tendency, when musicians famed for their work with a particular band cross over into solo work, to feel some apprehension or scepticism. Are they disappearing into their own hype? Are they just bored? How will their individual strengths hold up when not bolstered by the usual surrounding components? Of course, this is a fairly narrow-minded and silly way to think, but admittedly it’s one that’s easy to jump to. However, as Mascis has been proving for a long time now, and continues to prove on this album, he really is just a great songwriter. His understated acoustic fingerpicking perfectly compliments his trademark laconic drawl (although there are points such as on the opening track, ‘Me Again’, where he shows off some very nice falsetto), and if Dinosaur Jr were never to make another record again – which would of course be a damn shame – this still feels like such a natural fit that Mascis could continue with solo acoustic songwriting and we wouldn’t be too hard done by. 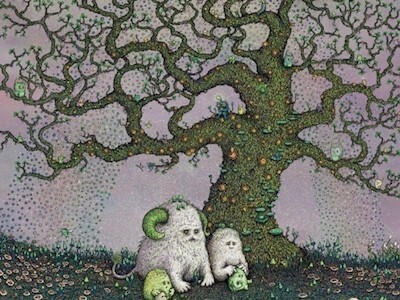 Not that Tied to a Star is totally devoid of classic Mascis guitar heroics. There are bursts of tasteful electric guitar, mostly in the form of brief but emotive soloing, and it’s impossible not to hear a bit of the classic Dinosaur Jr sound in these moments. But for the most part, this record feels like a natural companion to and continuation of Several Shades of Why, and the accompanying sense of increased vulnerability and openness therein, rather than a case of an ego-driven rockstar figure attempting to replicate some facsimile of their ‘main’ band/project. Mascis’ lyrics feel delicate and genuine throughout, as though he’s opening a window into the doubts and insecurities that make him tick, but never quite opening up all the way to the point where it feels like oversharing; his reputation for being slightly guarded and difficult to decipher at times holds steady, but this only serves to make the music all the more intriguing. For example, even on relatively upbeat-sounding songs such as ‘Every Morning’ and ‘Better Plane’, there appear to be recurrent themes of loneliness and struggling to figure out what you want. It doesn’t feels forced or trite, and the balance of downbeat lyricism and at times quite beautiful and powerful guitar make for a sound both sad and soaring.